Fall Season typically starts the 2nd week of August and ends in early October. Winter 1 Season typically starts the 2nd week of November and ends before Christmas. Winter 2 Season typically starts the 3rd week of January and ends in early March. Spring Season typically starts the 2nd week of April and ends the first week of June. We are sponsored by Under Armour and can pass on some savings to you. We have built this player package for “new players”: http://gazellesports.com/club/club/ohio-extreme/ohio-extreme-academy.html (they will ship it directly to your house). What is a typical week during the season? Typically, each player will have one practice per week (for 1 hour) on a weekday evening, and then at least 4 “Game Days” on weekends. What should I expect from the Academy program and What do you need from Me? Ohio Extreme Academy is a program designed for 1) Fun and 2) Development. It is designed to teach the player the fundamentals of the game and within a fun environment. 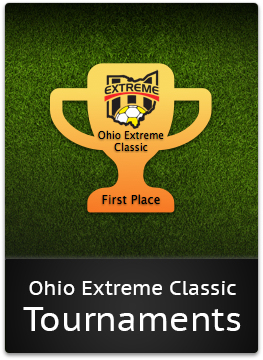 Ohio Extreme Academy is NOT a League and we do NOT keep scores or standings. We will change teams each week. The ultimate goal is to make every player love the game of soccer. And for those who want more, we encourage players to graduate into our Premier teams (competitive soccer). Our program is led by a college coach and volunteers. Thank you to everyone who helps us out throughout the year! We ask that parents come and cheer their child on during games. But we also ask that parents let our coaches coach. It’s important that players are only listening to our coaches so that they can hear all of the information necessary. All Parents will receive an email leading up to the start of the season with information about TeamSnap – an online team organizer that you can get on your phone. It will have our schedule and communication from coaches.